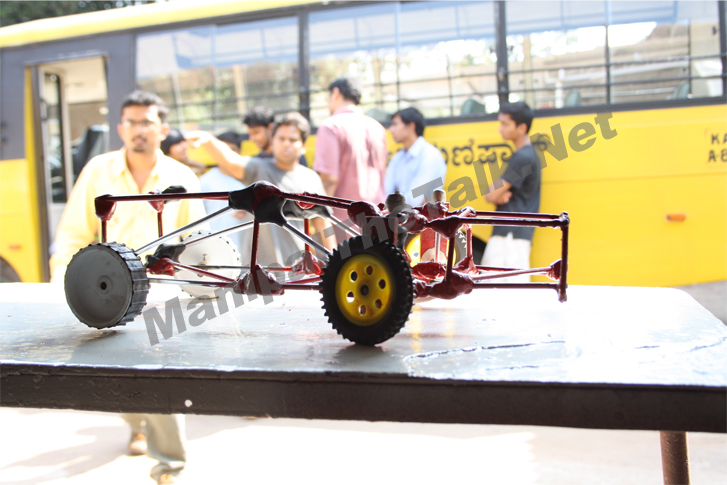 SAE Manipal recently concluded their two-day Chassis Fabrication workshop on Sunday at the KC automobile workshop. The first day was just a general overview of what is a chassis, its purpose in automobile construction and the types of chassis. For the unaware, chassis is the basic structural design of an automobile which handles most of the weight of the occupants and any structural impact. Day 2 was the actual hands-on modelling and assembling of a chassis. Each team (of four) was given three 12ft steel rods, 6 wheels and M-seal, out of which they had to construct a tubular frame chassis. The vehicle had to meet certain criteria like being lightweight with a large load tolerance, stability and practical feasibility of the chassis. Also, some technical specifications for the ground clearance, chassis length and width were set before the whole thing started. The whole place was abuzz with activity as teams came up with their own designs for the chassis. Some used advanced software like Catia while for the rest pen and paper did the trick. 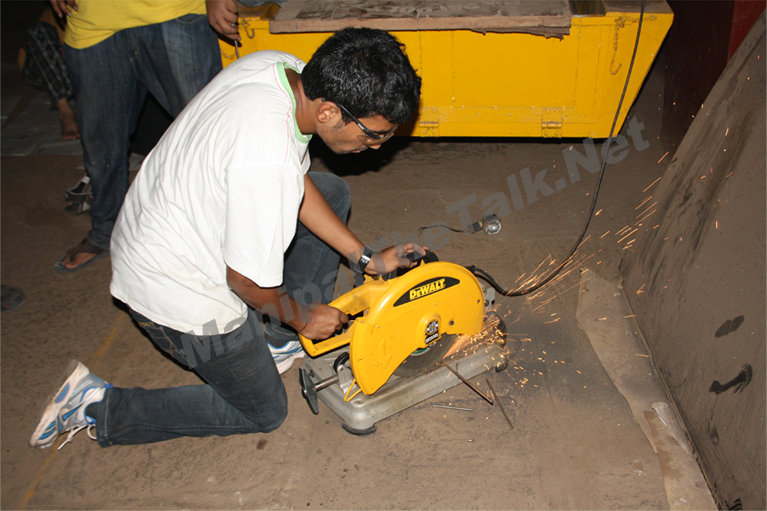 Then the actual construction of the chassis started. The rods were cut into the desired lengths using the metal cutters available and put together using M-seal in the desired shape. Requesting extra materials (rods, M-seal) was allowed but points were deducted for it. A lot of last-minute ‘jugaad’ was seen as participants frantically corrected the imperfections in their structure using leftover materials. The organizers were quick on their toes and helpful to the many that were using the cutting instruments for the first time. Summing up, it was one of the workshops held in Manipal that really caught the eye of its inhabitants. It had a lot to offer and was delivered extremely well.